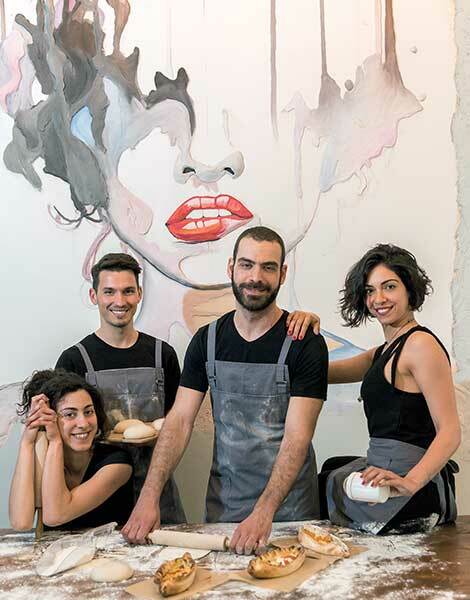 Athens’ street food scene is going from strength to strength, with traditional Greek staples like souvlaki now joined by exotic bites from far-flung corners of the globe. Prepare to stand in line, eat on your feet and, of course, make a mess. These are the holy commandments of street food. Greeks are used to eating on the go, with many traditional options for food in a hurry, ranging from cheese pies to sesame bread rings, roasted chestnuts, corn on the cob and the vromiko (literally “dirty”, but in the sense of “greasy” or “high-fat”). And let’s not forget that long before the term “street food” made an appearance, souvlaki was already a national treasure. 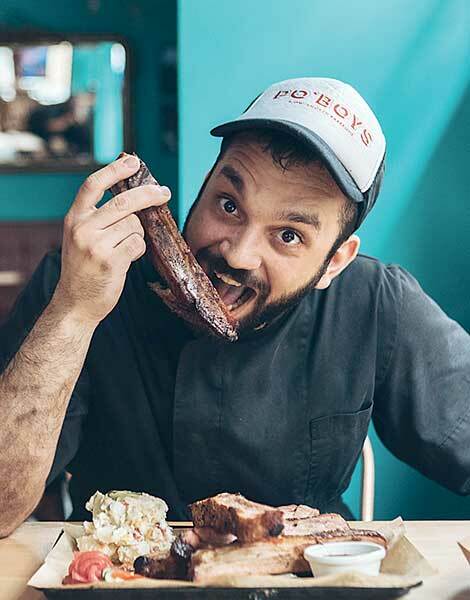 In Athens, you’re never far away from a spinning gyro (meat cooked on a vertical rotisserie) but nowadays, you can increasingly find more unexpected offerings, too, from Venezuelan arepas and New Orleans brisket to crocodile burgers. 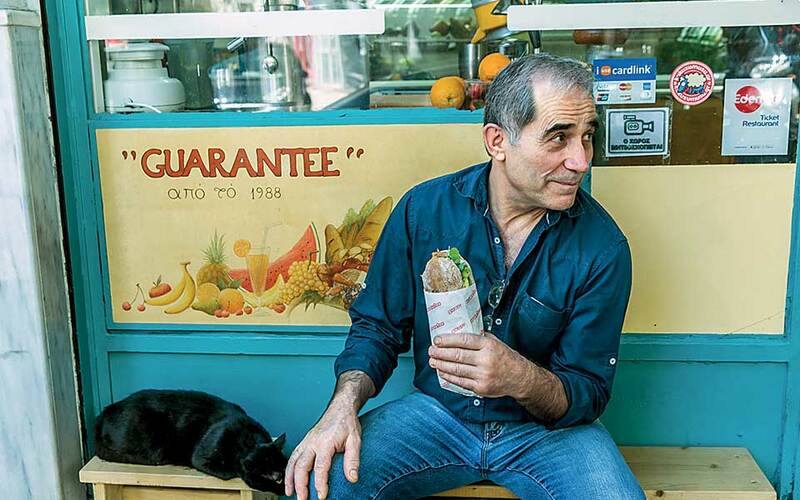 For the last 30 years, family-run Guarantee has been serving up gourmet sandwiches in Koukaki. 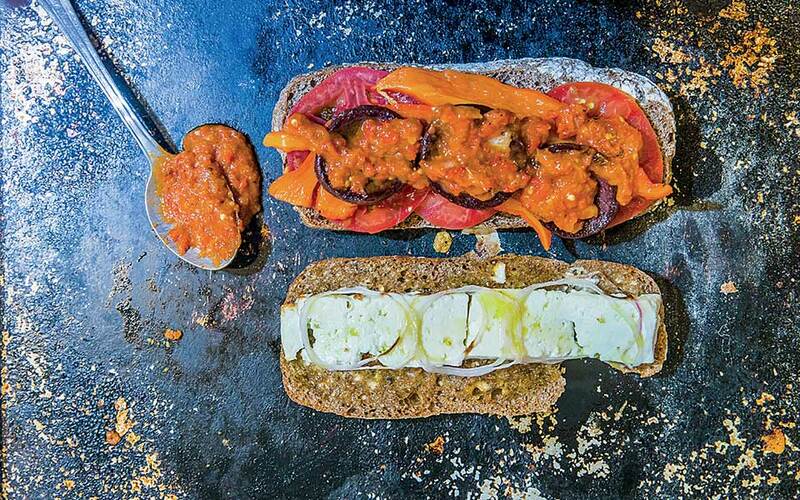 It offers more than 130 ingredients, including local cheeses, homemade pesto and perfectly cooked roast beef. Pure olive oil from Mani and freshly ground pepper take pride of place in nearly all the sandwiches. Yannis, the chef, makes the task of selecting flavors much more straightforward, with a list of recommended combos to choose from. Enjoy your sandwich with a freshly squeezed juice, such as the spinach, apple and ginger option – both zesty and energy-packed. 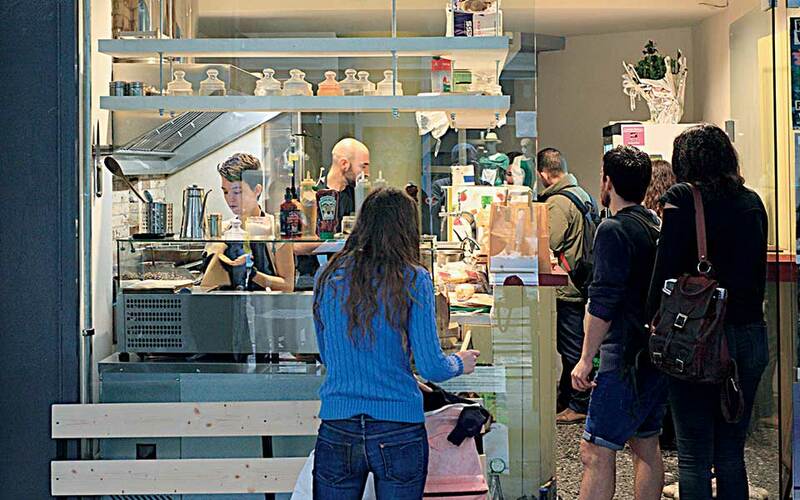 At sandwich joint San Francisco in Kerameikos, lots of thought has gone into creating original recipes; there are even an impressive twelve veggie options. Nikos, the owner, is a devotee of dark electronic music – which echoes throughout the shop. San Francisco sources the best local products, with cold cuts from Drama, feta cheese from Kalavryta and a good selection of Greek craft beers. You’ll know when your sandwich is ready when you hear the tinkle of Nikos’ small serving bell over the background beats. Large lines have formed every lunchtime along pedestrianized Aiolou Street ever since Falafellas opened four years ago. Here, Arabic pita bread wraps are filled with freshly fried chickpea balls, tahini, yogurt sauce and roasted or fresh vegetables that provide a satisfying crunch. 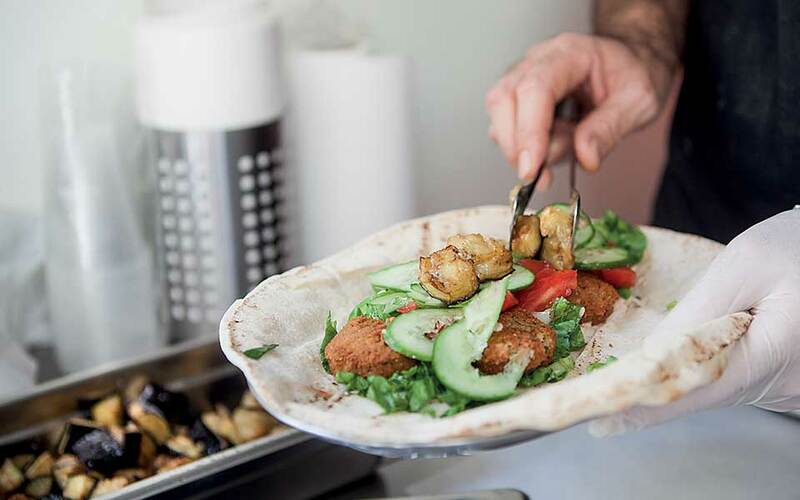 Consistent and courteous, the staff are always willing to patiently explain the contents of each falafel wrap, available in two sizes and as spicy as you can take. 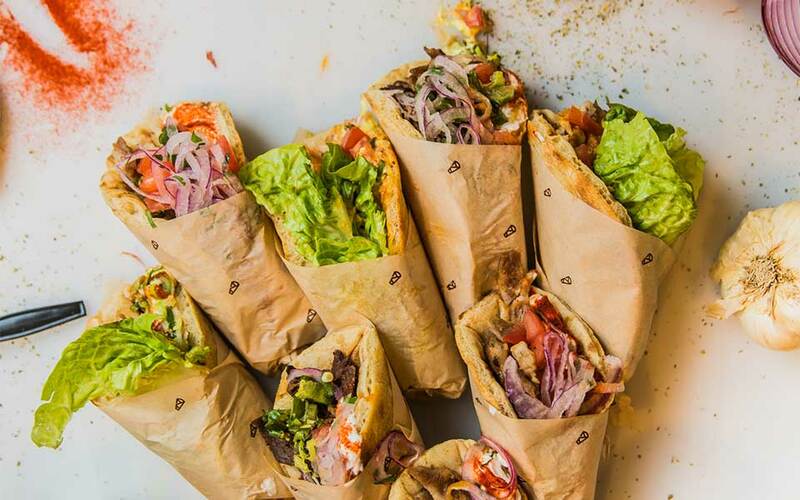 Hoocut offers a souvlaki wrap that’s definitely worth trying. Their pitas are kneaded on the spot, made with their own fresh dough, and the french fries are hand-cut and crisped to golden perfection. This “fine-dining” souvlaki shop is run by five chefs, one of whom boasts a Michelin star. Try the thinly sliced gyro meat, especially the beef or lamb, and for sides, add the sausage with cabbage salad. Smak have perfected a slow-rise dough for pizza and peinirli (pizza boat). As for the toppings, their approach is decidedly minimalist. They propose, for example, a peinirli made with mozzarella and kefalotyri cheese and served with just lemon and oregano. Don’t forget the sweet options, such as the calzone with anthotyro (whey cheese), honey and orange preserve, or the calzone with creme patisserie. 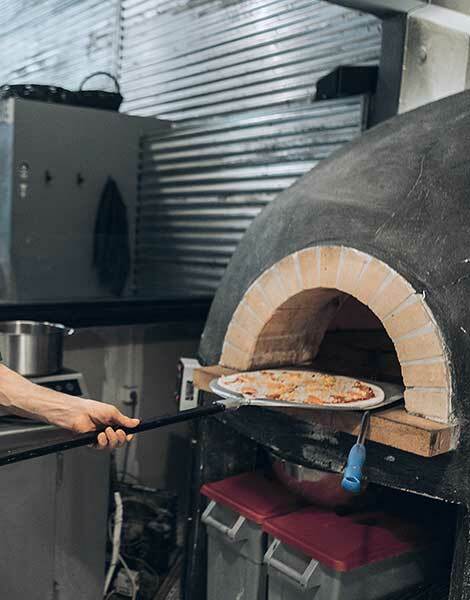 On hipster-friendly Protogenous, you’ll find Crust, a concept pizza parlor. Keep an eye out for the door leading underground to find gigs, parties and dancing in the basement. As soon as you’ve worked up an appetite, just pop back upstairs and savor a delicious slice. The pizzas are thin-crust, baked to perfection and deliver delicate flavors with only a few ingredients. We recommend the Snow White, with smoked pancetta and prosciutto cotto. 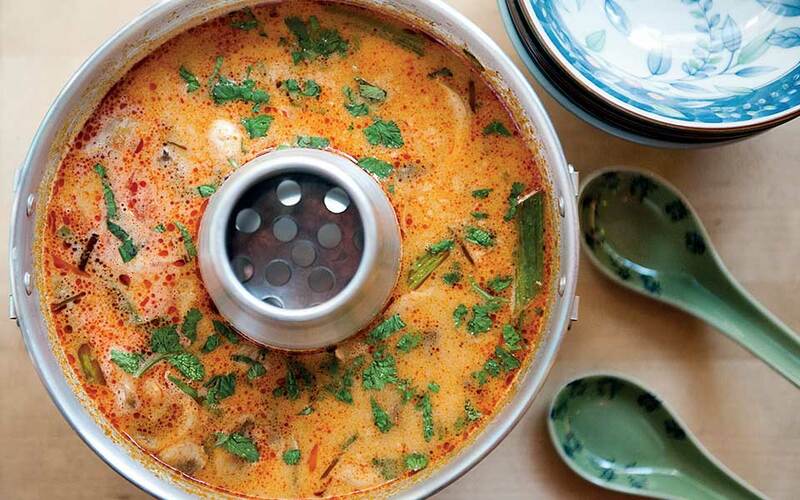 Add a bit of the spicy sauce on offer for an extra kick. Salty Pig serves up brisket and Philly cheesesteak sandwiches, with meats slow-smoked to mouth-watering goodness. 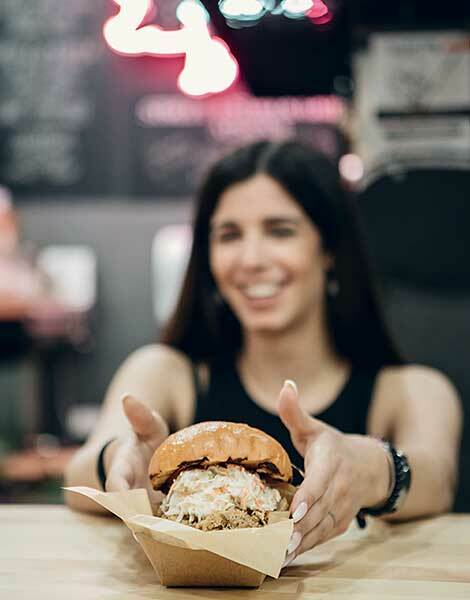 You’ll also find golden fried chicken and a selection of American burgers and sandwiches made with pulled pork, beef and their own pastrami. The Psyrri area is home to Po’Boys, another BBQ house inspired by New Orleans and the American South. Resembling a diner, the basement houses the heart of the business: the smoker. Try the beef brisket burger and potato salad with onion, mayo and corn. The menu also features over 30 beers from Greek microbreweries. 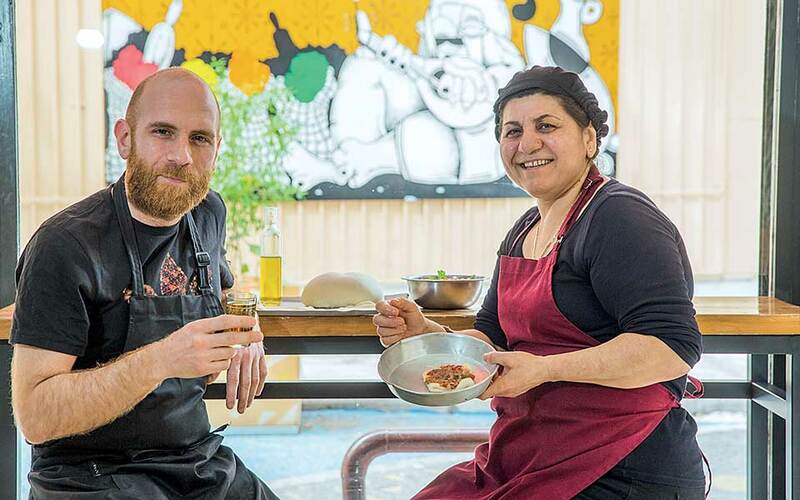 “Dough is my fourth child,” says Eleni at Feyrouz. This cozy eatery, with its oud and saz music, is a commendable example of a “fast food” restaurant where the food is not rushed in the slightest. You can try recipes from Syria, Lebanon and Turkey, including lahmajoun (thin Armenian pizza), and pide (Turkish cheese boat) with wine-cooked rooster and several vegetarian pies. Particularly worth trying is the pot-roasted chicken with chickpeas and buttery basmati rice; traditionally eaten by hand but delicious any way you consume it, this dish encapsulates the flavors of Anatolia. Tuk-Tuk in Koukaki will transport you to the brightly colored and high-tempo streets of Bangkok, surrounded by posters, toys and trinkets from Thai pop culture. Expect to rub elbows with your fellow diners as you perch at the bar, watching flames flare up from the open kitchen. The food is just as authentic as the decor, with spicy “drunken noodles” packing a paradoxically sobering punch, and coconut milk-rich curries to be savored to the very last drop.